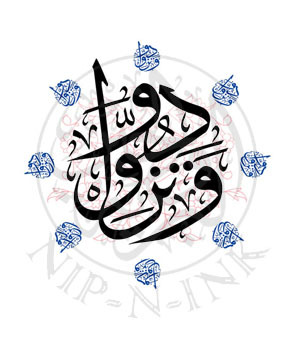 Nip-N-Ink, established by artist Mr. Aziz Qassim, will lead the promotion of Arabic Calligraphy. Mr Aziz a leading exponent of the art and skill of traditional and modern Arabic calligraphic designs will be sharing his knowledge and skill to visitors to gulfInteriors Exhibition with live displays and designs. “The Art of Arabic Calligraphy has played a major role in Bahrain’s heritage and culture throughout our Kingdom’s history. It is vital that we keep alive the tradition of calligraphy to pass on to future generations”, says Aziz Qassim, Manager and Owner of Nip-N-Ink. Nip-N-Ink specializes in Arabic Calligraphy specialises in Arabic Calligraphy as a medium of art, expression and education through a range of services in graphic design, classical compositions, murals, fabric painting, cutting and engraving on wood, acrylic and glass. 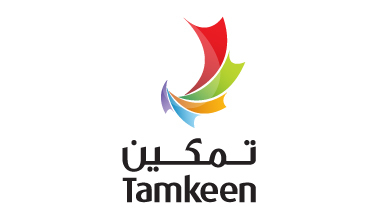 The company also offers classes in the art of Arabic Calligraphy to all ages. “The use of calligraphy in Arab culture is the foundation of symmetry and harmony in society”, adds Mr Qassim “our approach is not commercial but rather committed to the preservation of the soul of our religion and culture“. “gulfInteriors is not just about the promotion of international designer brands but also delivering a showcase to promote a unique style and creativity that is present in Bahrain and the Gulf“, says Jubran Abdulrahman, Managing Director of Hilal Conferences and Exhibition. “As well as the promotion of Arabic Calligraphy, gulfInteriors will showcase ‘Moroccan Treasures and Boutique Furniture’ designed and made in Bahrain“, concludes Mr Abdulrahman. Aziz Qassim is scheduled to present a workshop titled “Introduction to Calligraphy” free to attend for visitors to the gulf Interiors Exhibition on the 13th of May at 6:30 pm.